Johns was named after a Revolutionary War hero, Sergeant William Jasper, who was known for raising the flag under fire and in full view of the British during the Battle of Sullivan’s Island on June 28, 1776. The sergeant tried to do so again at the Battle of Savannah with less fortunate results. Johns was a soldier as well, serving two years in the Army in the Korean War. With much better luck by the hand of fate, he returned home with his body no worse the wear in 1953. In probable reference to his namesake, one of his major themes in his work was the use of flags, amongst other “things the mind already knows.” Johns would take an everyday object and depict it through many different media and interpretations. In addition to being a painter, he also drew his work and made a number of sculptures. Talk about a flex. With the rest of the Abstract Expressionists, it was less “Hey, look at the way I interpreted this subject” and more “Hey, look at the stuff I made this work with.” This particular work is a relief. On lead. You know, the densest material on Earth, the stuff that they put in powdered makeup during the 1700s that could poison you? Yeah, that's what this work was made on. This version of Flag was a gift to the SFMOMA by a certain William C. Janss, who belonged to a family of doctors known for over 90,000 acres of residential and commercial development in Southern California and two ski resorts in Colorado and Idaho. You could say they figuratively built almost every town in the area. He, along with his wife, were also major fans of the Abstract Expressionist movement, and were responsible for donating most, if not all, of Jasper Johns’s work to the museum. Trust a family of rich doctors to take care of art made on one of the most hazardous materials to human health. "Jasper Johns, Flag, 1960-1969." SFMOMA. 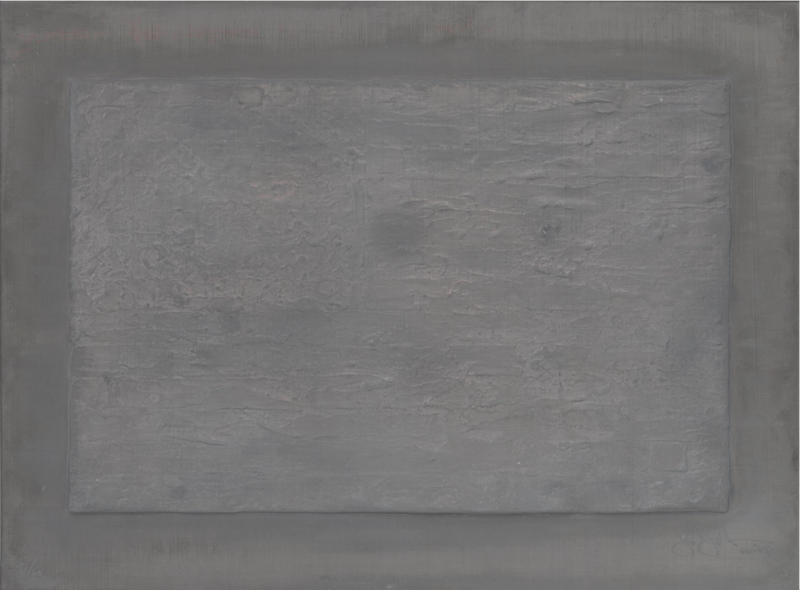 Accessed November 10, 2018. https://www.sfmoma.org/artwork/78.198#artwork-info. Martin, Hugo. "Edwin Janss Jr. Leaps to His Death in Suicide." Los Angeles Times. March 19, 1989. Accessed November 10, 2018. http://articles.latimes.com/1989-03-19/local/me-554_1_larry-janss. "Our Georgia History: William Jasper." Colonial Georgia. Accessed November 10, 2018. http://www.ourgeorgiahistory.com/ogh/william_jasper. Rosenthal, Nan. "Jasper Johns." The Met's Heilbrunn Timeline of Art History. October 2004. Accessed November 10, 2018. https://www.metmuseum.org/toah/hd/john/hd_john.htm.